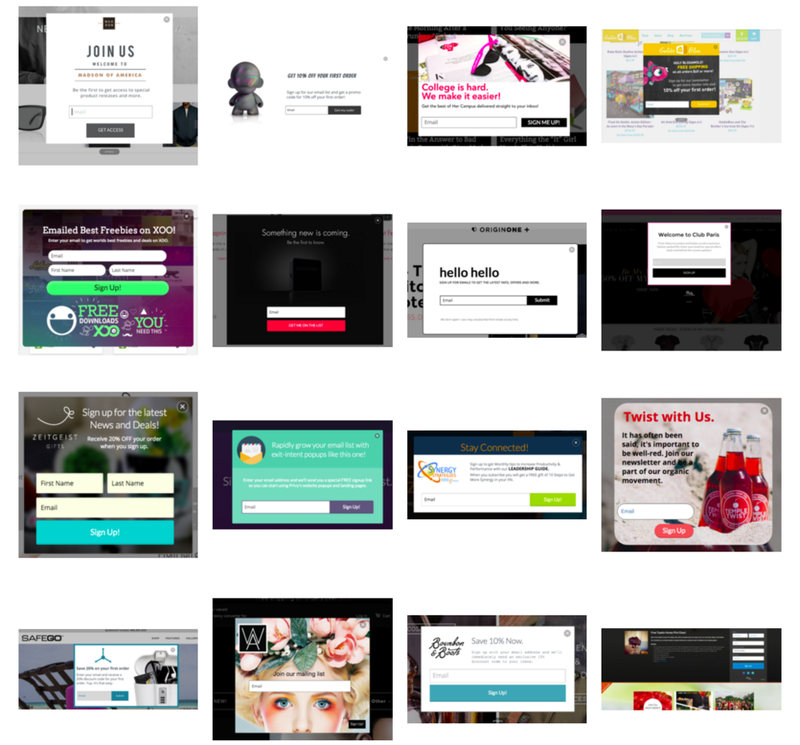 Your email list growth platform. Build relationships, incentivize conversions, and drive revenue. Use code MWQHJ to get 15% off any premium plans. CONVERT TRAFFIC WITH STUNNING MARKETING CAMPAIGNS. Free yourself from code and IT. Choose gorgeous templates or use the drag and drop designer to instantly publish and target campaigns that look great on desktop and mobile. INCENTIVIZE MORE SIGNUPS WITH OFFERS. Easily set dates and restrictions, integrate bulk ecommerce coupons, or drive customers into your brick + mortar store. TARGET ABANDONING CARTS WITH EASE. Identify visitors who have added products to cart, but are exiting before completing their purchase. INTEGRATE AND AUTOMATE YOUR EMAIL FOLLOW UPS. Single click integrations for website platforms like Shopify, BigCommerce, Wordpress, Weebly, and more. Easily sync to Shopify, MailChimp or any service you already use to trigger automation. Or, add simple autoresponder emails directly from Privy. See all integrations. Explore the full list of Privy display types, targeting rules, integrations and more. Start growing your list with Privy today. TRY OUR ALWAYS FREE PLAN, NO CREDIT CARD REQUIRED.